We have a full 100% money-back guarantee. No fine print, no hassle. If you don't love it, email us and we'll refund every penny. 47-page eBook Guide. How to build a powerful chest in just 18 weeks, and you'll probably notice a difference after your very first workout. 18-Week Workout Program with 3 Periodized Phases. Programmed by Bony to Beastly founder Marco Walker-Ng. Marco is a certified Strength & Conditioning Coach who has helped over 6,000 skinny guys bulk up, and he's trained elite level athletes like Olympic rugby and professional football players. BONUS #1: 5-month (renewable) membership in the coaching community. Get feedback and coaching, track your progress, celebrate your victories, and be surrounded by guys on the same journey that you're on. BONUS #2: The 10 Worst Chest-Killing Things You're Doing In & Out of The Gym. This 25-page guide covers the "couch problem," how you've accidentally fired your chest from its job, chest victim mentality, and imitating stocky powerlifters is killing your chest gains. 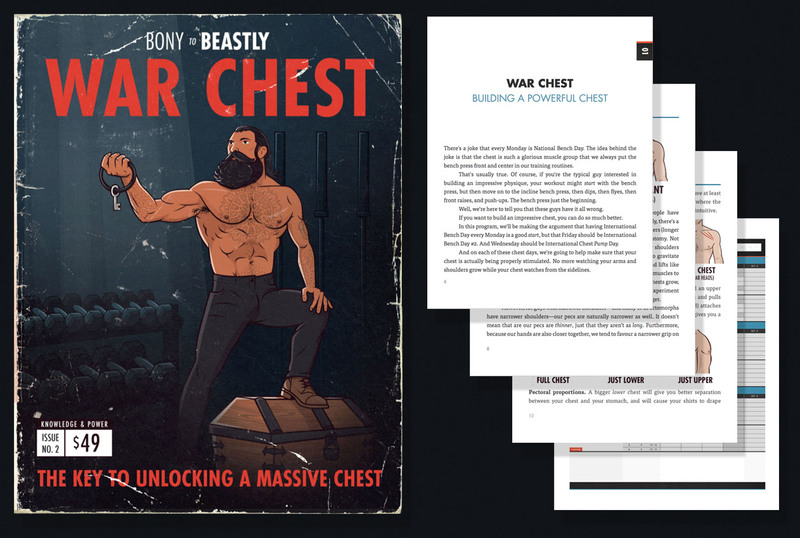 BONUS #3: Transform Any Workout For Epic Chest Growth: Mini-Guide To Understanding Chest Volume, Variations & Frequency. Ever wanted to learn how to make a killer chest workout all on your own? Learn what makes a truly great chest routine, and how to avoid all of the classic rookie mistakes. Lifetime Access. You've paid for it, so do the program on your own schedule, as many times as you like, and keep it forever. 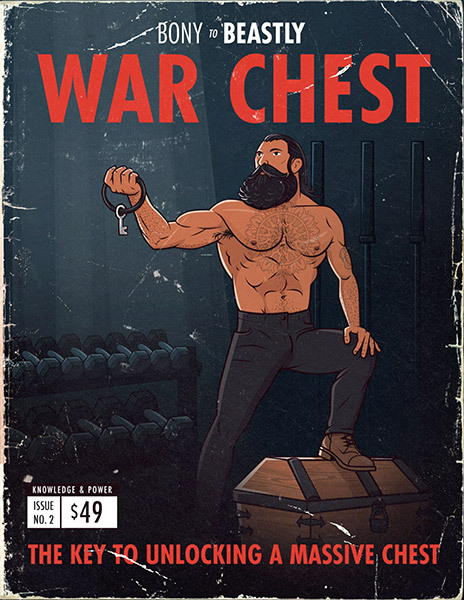 K&P: War Chest, Premium Edition Full Payment of 55 USD, Save $8!